The final session of the week opened against a background wherein fresh credit-rating pain fell on Spain again (this time with a two-notch two-punch by S&P). The country reported sliding retail sales, and worst of all, an unemployment figure some three times the percentage of that of the US — 24%. The markets remained subdued however following this latest ominous development in Europe. Players appeared focused on the imminent release of US first-quarter GDP estimates. The data confirmed some of the dovish stance manifest in Mr. Bernanke’s press conference a couple of days ago. The US reported a 2.2% rate of growth in Q1 (against the 2.7% that was anticipated by economists). Growth was somewhat hampered by a decline in business spending and the government sector, but was at the same time boosted by strong spending among consumer and by rising exports. The US dollar and stock index futures frowned upon the GDP estimate and headed lower. The development may give gold players another chance at trying to go for the assault on the $1,660-$1,675 resistance area provided the dollar keeps at lower levels and provided the euro does not suffer too much in the wake of the Spanish debacle. Spot gold dealings started off with a modest, $1.30 per ounce decline in New York. Bullion was bid at $1,655.80 on the open. Silver climbed 4 cents to the $31.13 mark per ounce. Platinum added $3 at $1,568 while palladium rose $1 to $672 the ounce. No changes were reported in rhodium at $1,350 per ounce. Other commodities appeared flat with oil stalled at $104.50 a barrel, copper marking time at $3.83 (a three-week high) and aluminum advancing 1%. Chinese markets are closed Monday and Tuesday while those in Japan are on hiatus on Monday. 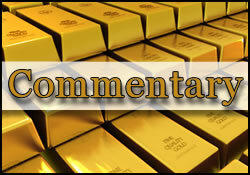 All of the precious metals currently appear to be stuck in range-trading patterns. Speaking of some of the base and noble metals, if there is one good thing to possibly anticipate from the emergent shift in China’s economic profile, it might be the fact that certain metals will benefit from it. The risk of a hard landing in China is still on the table and could impact the demand for copper, Silver, steel, etc. However, the macro-level shift away from exports and capital investment towards domestic consumption and growth based on same bodes well for some very specific commodities. Among these would be palladium, nickel, aluminum, coffee, and other items related to rising living standards. Bloomberg News identifies the Chinese car market as pivotal for palladium demand, now that the country has surpassed the US one in size three years ago. Well, Wednesday came and went, and depending on what one wanted to hear or to read, there was an ample amount of post-Fed meeting headlines to choose from, or to become further confused by. For instance, if one was leaning towards the paradigm that the Fed is slowly turning away from its hitherto highly accommodative monetary policy stance, there was this story available to parse. In fact, gold prices at one point on Wednesday dipped to lows near $1,625 on just such perceptions. Mr. Bernanke himself underscored the unlikelihood of further, careless QE dole-outs by saying that it would be "reckless" to pursue inflation-yielding policies that might offer only "doubtful gains" to an already recovering US economy (almost sounding like a GOP poster-boy there). On the other hand, if one desperately wanted to hear something dovish coming from the Fed, well, there were stories to suit that "mood" on tap as well. After all, some will say that even after leaving policy on hold Mr. Bernanke also promised that the Fed remains "prepared to do more as needed to make sure that this recovery continues and that inflation stays close to [the 2%] target," and that "additional bond buying is still very much on the table." Based on that take, gold prices not only recovered from the lows they touched the other day, but were able to stage a decent bounce all the way up to the $1,660 area on Thursday. But let’s leave Mr. Bernanke’s words out of the equation for a minute and dissect that which his team members communicated to the markets via their individual projections. In the wake of the FOMC meeting we have learned that while only five officials felt that short-term rates ought to rise to 2% or higher prior to the end of 2014, this time around there were seven policymakers who shared that view and more than half of the US central bank’s officials envision rates climbing past 1% by that same time. Perennially hawkish holdout Jeffrey Lacker (Richmond Fed President) once again voted against the group and said that economic progress in the US justifies hiking rates sooner than that. Let us however not lose track of the fact that the fed-funds rate expectations are for 4% or higher within about five years’ time, and that only four out of seventeen Fed officials project 0.25% to be still on the table by the end of 2014. In the meantime, nobody seems very willing to offer further non-standard programs that feel/smell/taste/look like a QE unless and until a bad series of economic statistics derail the recovery. For the time being, such metrics are a tad hard to find, despite the moderate tone being used by Mr. Bernanke to describe both labor and housing market conditions. Fewer Americans filed for unemployment claims in the latest reporting period, pending US home sales came in at a two-year high yesterday, and California foreclosure actions fell to their lowest level in five years, prompting one industry official to declare that "the [US] housing market has clearly turned the corner." It thus seems that while the era of "easy money" has been with us for nearly 42 months that same era is set to end in no more than 20 and probably more like 12-16 months. We are on the other side of the accommodative curve now, and that’s the shrinking window of opportunity for the QE-addicted commodity speculators to make a go of it in various, already price-inflated assets. As for the "bottom-line" types of items to "file" after reading the communique from the Fed, they are: a) Inflation is picking up and it is on the Fed’s radar b) US economic growth is "moderate" but will "pick up gradually in coming quarters" c) The housing sector is improving and d) Yes, there were no hints of further QE in the statement, you may stop looking for them now. Yes, even after the US-reported 2.2% GDP growth level that was reported today. And now, as promised in our previous posting, it is time for a bit of myth-busting and a bit of fact-based education. We would like to share with you two key, interesting findings by our good friends over at the CPM Group New York. As regards leisurely weekend reading, this qualifies as some of the best material we can find for you; true, and mind-expanding at the same time. "At commodities investment and mining conferences, in bank and broker reports, in coffee shops and airports, people repeat the same bromide: Ever increasing populations and rising global incomes and wealth inexorably means that in the long run commodities prices must rise. Unfortunately, for investors seeking simple routes to riches, this "Pater Noster" falls readily in the face of both historical, empirical evidence and economic theory." The world’s population rose seven-fold, from around one billion in 1850 to seven billion today. That population is projected to continue rising, but the growth rate in the world’s population has been, and is continuing to slow dramatically, putting less pressure on demand in the future than has been seen over the past 160 years. The world’s population has risen sevenfold since 1850 while the global economy today is 85 times larger than it was then, and commodities prices are half of what they used to be, adjusted for inflation. The empirical evidence suggests that just because the world’s population and wealth appear likely to expand in the future, it does not mean at all that commodities prices must rise as well. The world’s population has exploded and overall wealth has risen sharply. These increases have led to increased total demand for commodities. Even so, prices have fallen in the long run. Markets do not always respond to the most simplistic analyses; a point producers, investors, and others should heed. We could of course add that gold — a hybrid that is currency and commodity — also experienced a decline in real, inflation-adjusted value starting from lofty (near $6,000) levels back in 1700. All currencies appear to lose value over time, and gold, as one of them, is not immune. However, let’s focus on the latest fact in the CPM Market Commentary released this week. The finding is that since the dawn of time (it is now estimated) over five billion ounces of the yellow metal have been mined. Other estimates for cumulative gold production go as high as 5.5 billion ounces or 170K tonnes. More than 155,500 metric tonnes of gold are resting above ground and nearly 71,000 tonnes (45%) of the same are contained in jewellery, religious, and decorative items. More importantly, nearly 90% of this staggering quantity of gold is still around, in one form or another and is available should anyone wish to ‘mobilize it’. By comparison, the cumulative global silver production is well over 50 billion ounces (1.55 million tonnes) but nearly half of that not-so-little cube of white metal has been lost. Humans are very good at hanging on to gold but not so careful with their silver, it would appear.